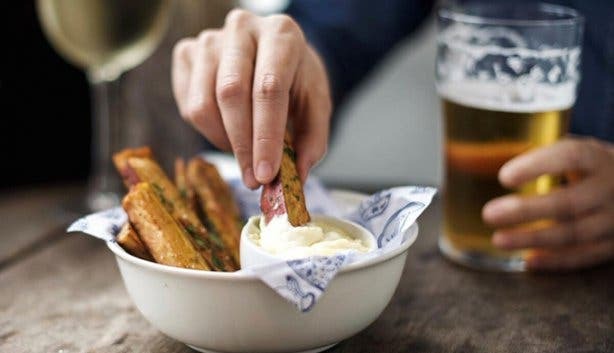 While Melissa’s The Food Shop is your go-to if you’re looking for a delicious deli meal, at any time of day, they have yet to venture into the stylish dining market- until now. 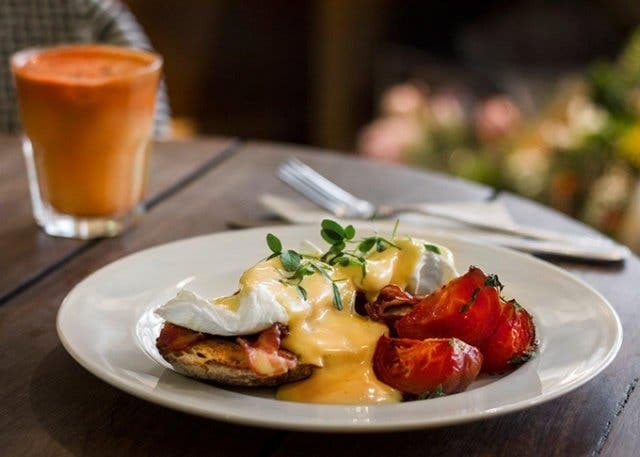 Melissa’s is a great place to go if you’re jonesing for a hot chocolate or homemade rusk but this new addition, Mantra Café, treats you to more sophistication. Melissa van Hoogstraten started The Food Shop 21 years ago with her husband, Mark. “It (Melissa’s) was just a little shop to keep me busy, doing the things I enjoy. When everything I’d made for the day was sold out I’d close the shop, go home and, I suppose, be a good housewife,” favoriteshe shares. 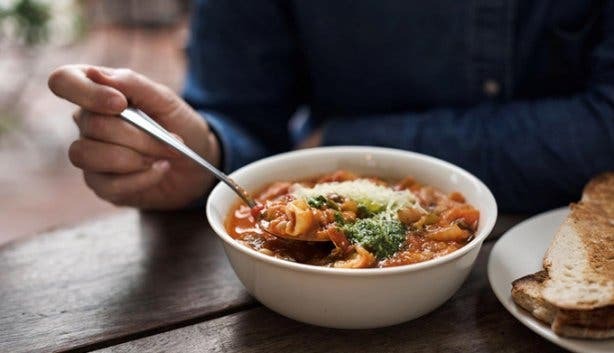 Melissa’s has since grown bigger than the Kloof Street eatery, now boasting 18 stores nationwide - including a food shop in Mthatha, in the Eastern Cape, and two stores in Johannesburg, Melissa and Mark, have done well to make Melissa’s the well-known brand it is today. Mantra Café is their latest passion project. 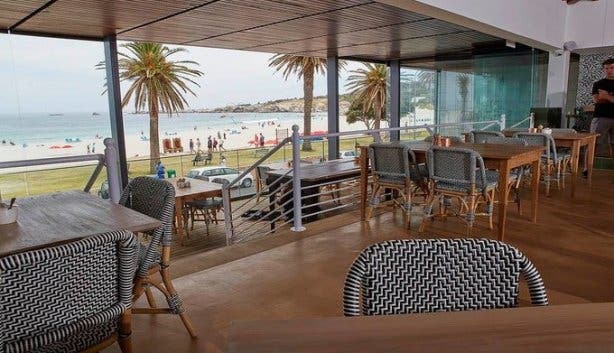 Mantra Café has recently opened its doors on the always lively, Camps Bay strip; Victoria Road. 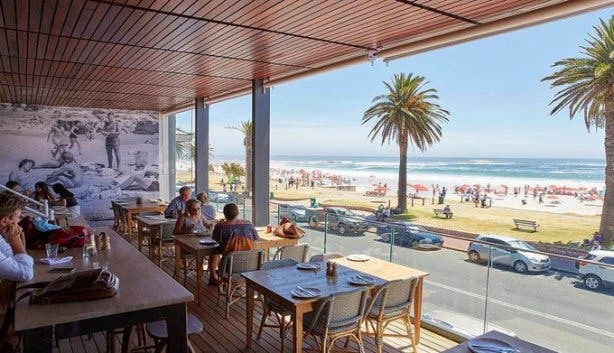 Housed in a chic glass building, you can enjoy picturesque panoramic views of the beach and Atlantic Seaboard. You can be sure to enjoy a contemporary, whilst comfortable, dining experience perfect for sundowners, an intimate dinner in a romantic setting or a handsome feast with family, friends and loved ones. The Mantra menu offers up dishes to please and palate, like tuna ceviche, beef carpaccio, sticky chicken wings and fresh calamari, perfect for sharing. Heartier meals include the generously served Aubergine Parmiggiano, 300g sirloin steak, served with Béamaise sauce, or the Mantra Burger. 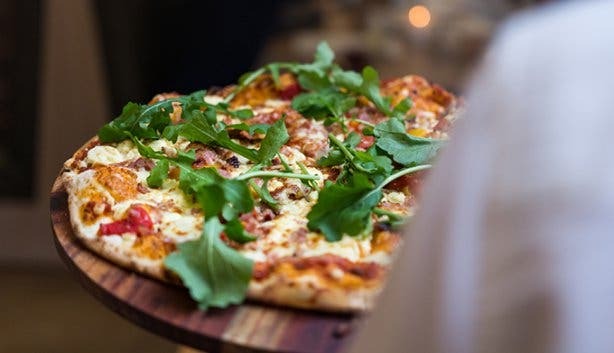 They also have pizza’s, salads and fish dishes galore! You can also indulge in one of their creatively crafted cocktails. We can’t get enough of the Grapefruit Mimosa, but a traditional Mimosa or Bloody Mary is available for the creatures of habit. 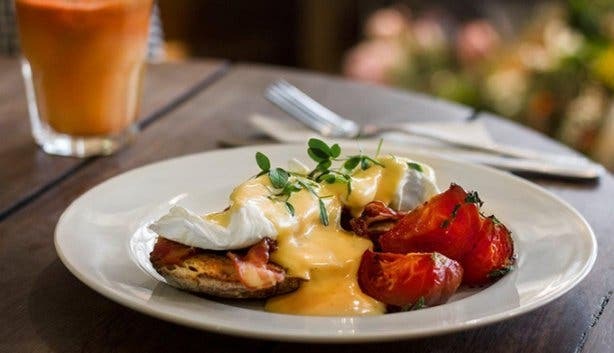 The elegant eatery’s location means you can party well into the early hours of the morning, at one of the chic bars or nightclubs on Victoria Road, after lining your stomach with a delicious meal at the restaurant first. Mantra Café is open from breakfast service, so you can swing by for a fully-loaded omelette, freshly baked scone, cake or muffin. The orange almond cake is a favourite because it’s wheat-free which means guilt free. Yum! We love: The location. Mantra Café has set up in a beautiful glass building with panoramic views of the ocean This makes it the ideal spot to enjoy a couple of cocktails as the sun sets over the Atlantic Ocean. The café also stocks some Melissa’s products that you can purchase to take home. 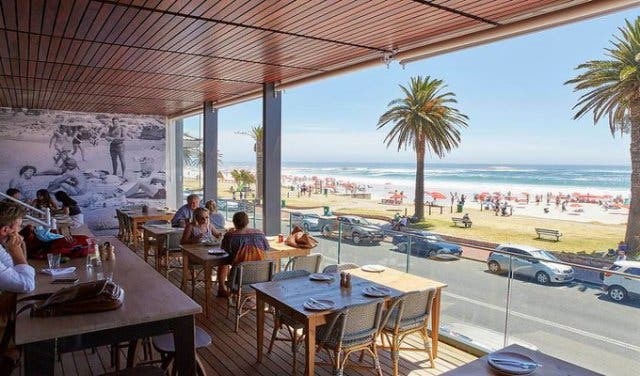 Tip: Like Melissa’s, Mantra Café can get quite busy as it is located on the popular Camps Bay beach front. If you don’t call ahead to book your table, with a picturesque view, then you might arrive disappointed to find that the restaurant is full. Check out our events section for an up-to-date overview of happenings in Cape Town. Also, don’t forget to subscribe to our newsletter and if you have a smartphone, add m.capetownmagazine.com to your home screen for quick access on the go! Follow us on Twitter, like us on Facebook, join our Google+ circle, connect with us on LinkedIn, check out our photos on Instagram and follow our Pinterest boards for updates on what’s happening in and around the Mother City!